Last year Amazon started their Customer's Vote promotion where Amazon customers choose what they want to be on sale. I think it is a pretty cool promotion so I voted last year. To my surprise I got an email telling me the laptop I voted for was the winning promotion and I was one of the lucky 500 who could buy it for $699 when the regular list price was about $1,300. Needless to say I voted again this year. The items you can vote for aren't quite as exciting this year, a laptop, some cellphones, night-vision goggles, and the Soprano's collection. The interesting round for gamers though is Round 1: Playstation 3 . You can vote on 3 different PS3 bundles with games and Blu-Ray movies starting at $199. You have to vote to be eligible to buy the winning items so vote now. Be sure to come back and let me know if you win. I don't think lightning will strike me twice. 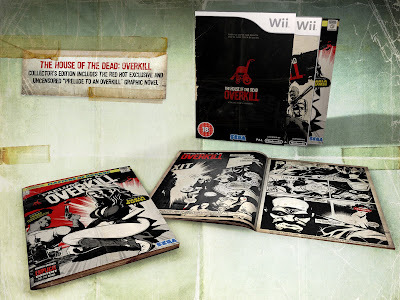 Sega of Europe announced today that they are releasing an adults only pre-order bonus for House of the Dead Project Overkill for Wii. 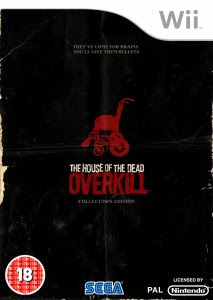 The pre-order gets you: the game, a special bundle cover, and the uncensored graphic novel "Prelude to An Overkill". This is a great collector's item for any of our European readers. Unfortunately the special bonus has not been announced in the US. You can always import, but Wii's are region locked so you couldn't play the game. But maybe the graphic novel is worth it to you. And you can always buy the US version when it comes out too. I'm crossing my fingers that Sega America announces a similar preorder plan in the United States. Thanks to our friends over at Sega Nerds for this information. The Gamecube had it's share of rare and collectible games during it's six year life span. Below is a list of rarest and most expensive Gamecube games. The rarest game for the Gamecube. 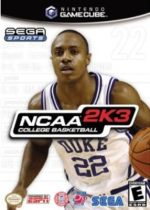 NCAA Basketball 2K3 is a college basketball game on the Gamecube so it wasn't destined to sell very well. Sega helped seal the deal when they cancelled all 2K series games on the Gamecube and stopped this game in the middle of production. This is one of the few sports games to become rare and valuable on any system. 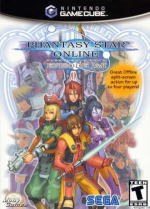 Phantasy Star Online Plus is a rerelease of the Phantasy Star Online game for Gamecube (also on this list). The Plus version fixed a few bugs in the intial release and added a few extra areas. The game sold poorly because it was an online game released after everyone realized the Gamecube's online was dead on arrival. Digimon Rumble Arena 2 is similar to Super Smash Bros in gameplay but uses the Digimon characters. 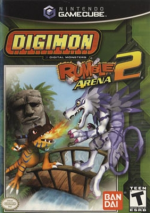 Its a sequel to the original Digimon Rumble Arena but did not sell as well as the original. The game received a lukewarm reception from critics but is still valued by collectors. 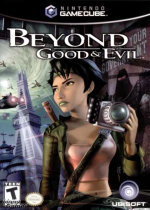 Beyond Good and Evil was released by Ubisoft in 2003 on every console. It was reviewed well but sold poorly on all systems. In May 2008, Ubisoft leaked a teaser trailer for Beyond Good and Evil 2 which sparked more interest in the original and increased prices. 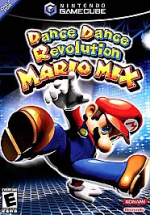 DDR Mario Mix is a regular DDR game with Mario characters, music, and art. It is the only US released DDR game on the Gamecube. Nintendo released the game in limited quantities for the 2005 Christmas season and it quickly sold out. In early 2006 Nintendo restocked shelves but quietly discontinued the game soon after. A role playing game with a focus on online co-op play. Sega released this game as the marquee title for the Gamecube's online service. 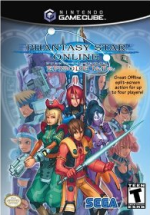 The service never caught on and Phantasy Star Online sales suffered. Sega shut down their servers in 2007 but you can still play the game solo or with 4 player split screen. This was one of the four Resident Evil games Capcom re-released on Gamecube. 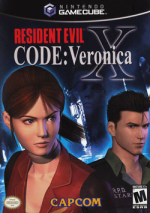 Code Veronica and Resident Evil 2 received limited production runs after the Gamecube's poor sales. After Resident Evil 4 released on the Gamecube prices spiked for all four RE games but only Code Veronica's prices remained high enough to make this list. 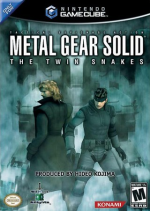 Twin Snakes is a remake of the original Metal Gear Solid for PS1 and was co-developed by Silicon Knights and Konami. Development was overseen by Metal Gear creator Hideo Kojima and Shigeru Miyamoto. 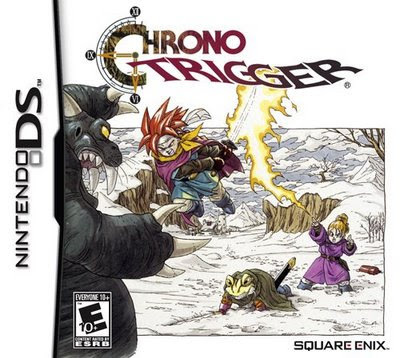 Critics loved the game and gave it an 85 average on Metacritic but the remake didn't sell as well as the original. Ikaruga is a shooter originally released for Arcade and Dreamcast. 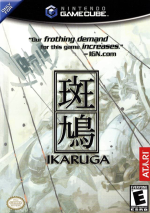 In general, the shooter genre doesn't sell very well and Ikaruga was no exception. The game is ranked as the 2nd best 2D shooter by ScrewAttack and the 3rd greatest shooter by IGN. 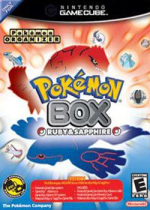 Pokemon Box isn't a game but allows players to store and sort Pokemon from the Gameboy Advance Pokemon games. In the US the game was only sold at the Nintendo World store and online, which limited the sales. The European version was never sold in stores but available through the Nintendo of Europe loyalty program. Cubivore is a action/adventure game with some RPG elements. You raise your creature through different mutations and offspring until you can defeat the Killer Cubivore. The game was called "Animal Leader" in Japan and was brought to the US by Atlus. 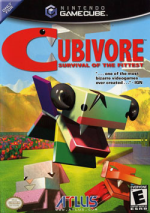 Like most of their games, Cubivore received a very limited production. Jedi Outcast is an Action game original released on the PC and later ported to the Gamecube and Xbox in 2002. The game has you playing as a former Jedi Knight and lets you use lightsabers, blasters, and turrets. 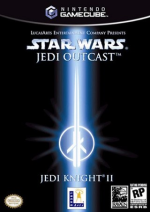 Jedi Outcast did not sell as well as other Star Wars games published by on the Gamecube and is more rare than the other titles. The list is ranked by highest sales price over the last three months. All the games are not rare (hard to find with small quantities available), but relative to demand all of these are in short supply. Used prices are the average price between August 4th, 2008 and November 14th, 2008. New prices are the highest price a sealed version of the game sold for during this same time period. We just created an add-on for Firefox that helps you find the lowest prices when buying video games on eBay, Amazon, and Half. The VGPC Price is the seven day average price online so you will know how much to spend or bid. The lowest price is the site with the lowest average price over the same time period (with a handy link if you want to buy there instead). Please read some reviews from our beta testers and then Install the add-on. Be sure to let us know what you think. Atlus is giving an early Christmas present to all the good little video game collector's out there. 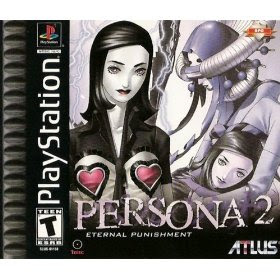 They are reprinting Persona 2 for Playstation 1. Available only on Amazon.com for $39.99. The game sells for $170 sealed on the resale market so $40 is a steal. This reprinting is not going to last long. It will be interesting to track the prices and see how they change with this new inventory. 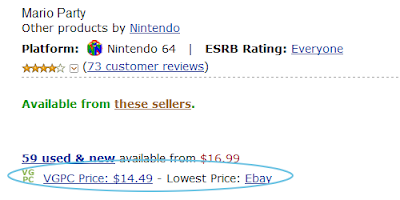 The change in the price will definitely depend on how many units Atlus is going to sell through Amazon. Gamers get this game on the cheap while you can. 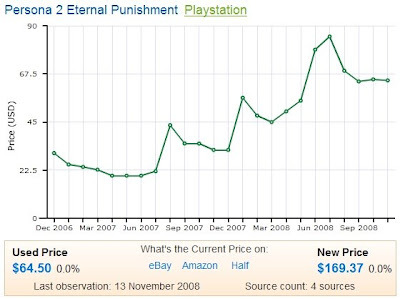 Below is the price chart showing Persona 2's price the last year. As you can see it has only been going up. Thank you Chris for this tip. UPDATE: Amazon already sold out. This was too good of a deal for people to pass up. Congratulations to those you got them. Regular visitors might have noticed some changes to the console pages on VGPC over the last month. The ones with all the games and prices listed for NES, Wii, Xbox 360, etc. We've made the pages load faster, a lot faster. PS1 price list: Then - 26 seconds to load. Now - loads in 4.8 seconds. SNES price list: Then - 14 seconds. Now - 2.8 seconds. Dreamcast price list: Then - 9 seconds. Now - 1.6 seconds. Playstation 2: Then - 31 seconds. Now - 6.4 seconds. We made these changes because we were getting frustrated ourselves when we used the price lists and it took so long to load. If we're getting impatient with our own site, other users must feel the same way. Now you can find prices for all your games and still have time to play them too. You can still sort and filter the data the way you could before. Just click the "sortable and filterable" link or one of the table headings.